Definition: Inspector General An independent authority who inspects the conduct, ethics and morale of the troops and the officers. The Inspector General also investigates reports of corruption, subversion or infiltration and has the authority to handle. The key to success of an Inspector General is independence and objectivity. Fifteen years ago, a momentous event took place, one which determined the whole of our collective destiny: LRH formed the Religious Technology Center. By the early nineteen eighties, LRH codified and turned over the many duties he performed in Scientology -from Executive Director International to auditor. Yet one crucial hat remained – protector of the religion. 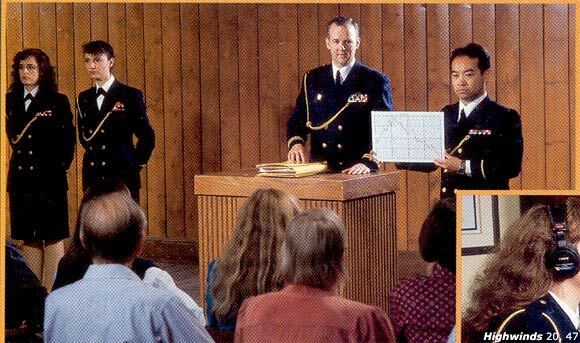 He knew that in order to turn that hat over he would require a team of the most dedicated Sea Org members. That hat would require a special form of dedication, born from unwavering certainty that Scientology works. Finally, that hat would require an absolute uncorruptibility. In other words, it would require a team of Sea Org members who would operate exterior to the organizations and be utterly uncompromising with the tech. Religious Technology Center and its Inspector General Network has become that team. This may seem fantastic to those who did not live through those times. That’s only because since that time RTC has safeguarded the technology and those responsible for its ethical delivery so effectively, calm has apparently reigned for the past fifteen years. How is this continuing duty accomplished? 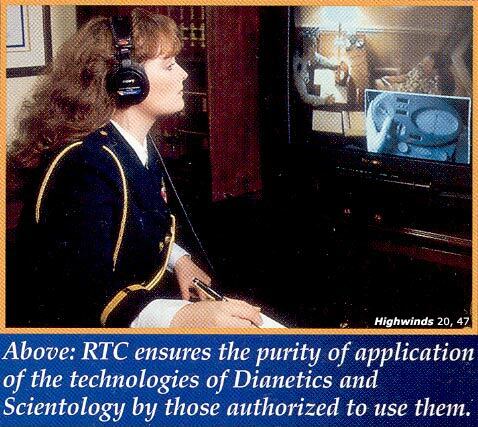 LRH gave to RTC the trademarks of Dianetics and Scientology. The trademarks are certain words and symbols of the Scientology religion that are legally owned, registered and licensed to ensure the purity of application of the technologies by those authorized to use them. Misuse or misrepresentation (calling something Scientology that is not, or calling Scientology practices something else) can be legally enjoined by RTC’s exercise of its rights. In fact, in the past year alone RTC has won three landmark legal cases preventing unauthorized use of Scientology materials by unscrupulous individuals. These court decisions set legal standards recognized across the world. But RTC does much more within Scientology organizations to ensure the standard application of LRH tech. This is accomplished through its Inspector General Network. Inspector Generals investigate and root out suppressives within and outside Scientology orgs who would prevent or distract from 100% standard application of tech. The Inspector Generals also inspect technical and policy standards of application and correct them where they are out. RTC collects tremendous amounts of information by direct inspection and by reports from staff and public across the globe. This points up broader situations that require more comprehensive handling. For example, the investigation and evaluation and resultant production and implementation of the tools to make perfect auditors in any Scientology organization on the planet — released under the banner “Golden Age of Tech” – has raised technical standards internationally to heights never before achieved. “They inveigh against lower-level gains and seek to discredit them since these run contrary to their aberrated purpose. That is why LRH entrusted RTC directly with safeguarding the upper end of The Bridge. RTC licenses each Advanced Org to use the Advanced Tech under specific guidelines protecting their security and ensuring their standard delivery. And because their security and exact application is so important, RTC has created offices and posted Inspector Generals at each of the Advanced Orgs. Here too, broader situations are evaluated and action taken to raise technical standards. With the breakthroughs of the Golden Age of Tech being applied to Solo auditors in the OT band, never before have so many OTs been made in so short a time. RTC is not involved in day-to-day operations or Church management. That is by design. LRH had discovered that the future of Scientology could only be assured by an external body not subjected to or influenced by statistical concerns or the bustle of day-to-day events. Indeed, only such a group would then have the vision to locate hidden subversives intent on stopping Scientology who would otherwise remain hidden in the wake of chaos they would create through their actions. 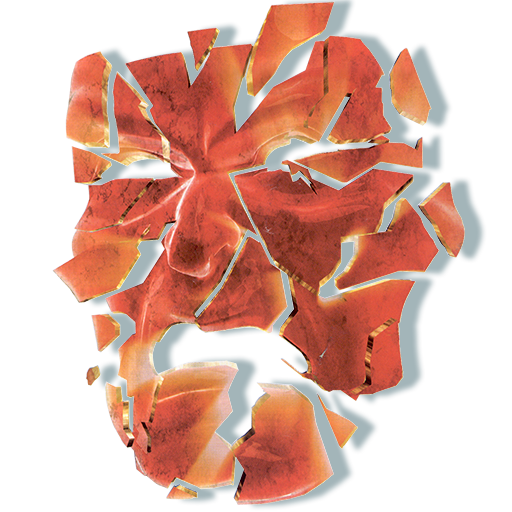 All of RTC’s actions add up to Scientology remaining secure from unscrupulous interlopers who seek to enslave man, and keeping Scientology in the hands of those who will use it for its intended purpose to free mankind. The legacy of RTC is already impressive. From successfully ending the war with the IRS and Interpol, to locating the Why preventing standard application and creating the Golden Age of Tech – and from the thousands of individuals we’ve helped get Standard Tech to the dozens of SPs and plants we’ve located and removed from the lines which you never heard about because we kept it off your lines. When it comes to keeping Scientology working, we get the job done. Through standard inspections and reports, RTC Inspector Generals locate and root out suppressives who would otherwise create chaos and stop org expansion. 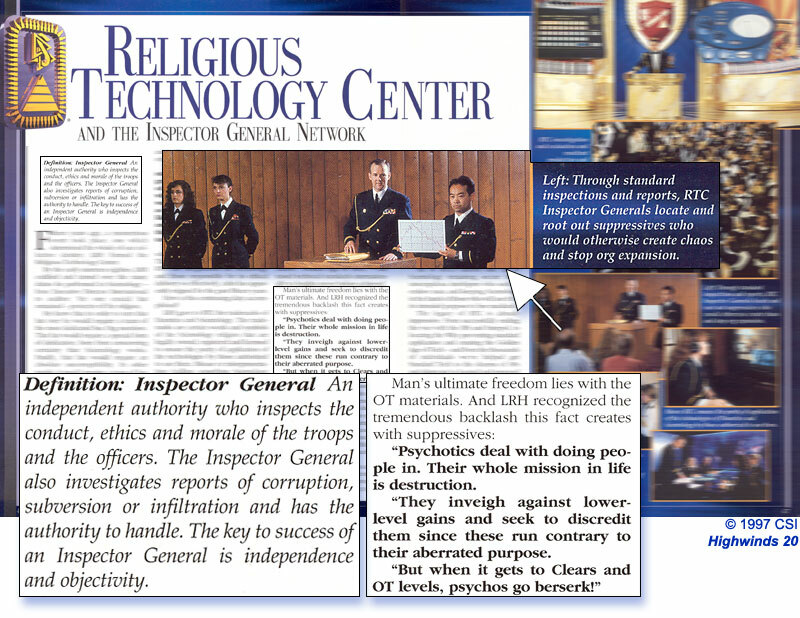 Religious Technology Center and the Inspector General Network, (1997.) Highwinds 20, 46-47.